Maximize the value of each-and-every interaction your team has with your customers, and add the ability to provide on-demand customer support through live chat. 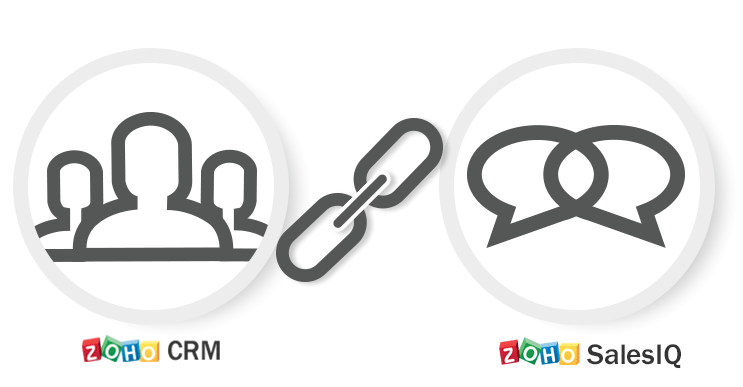 Integrate Zoho SalesIQ with Zoho CRM and organize all your customer data in one place. By adding Zoho SalesIQ into your existing CRM, you extend your ability to connect with customers, and give your team the tools to support customers instantly, while keeping all interactions organized. With instant access to your comprehensive customer database and easy-to-use live support software working together, it is all possible. How to enable visitor tracking in the CRM Web Form? How to route the visitors to their respective CRM Owners and track in the Visitor Online Screen?